What can city government do about a neighborhood business that is a haven for drug dealing and violence? 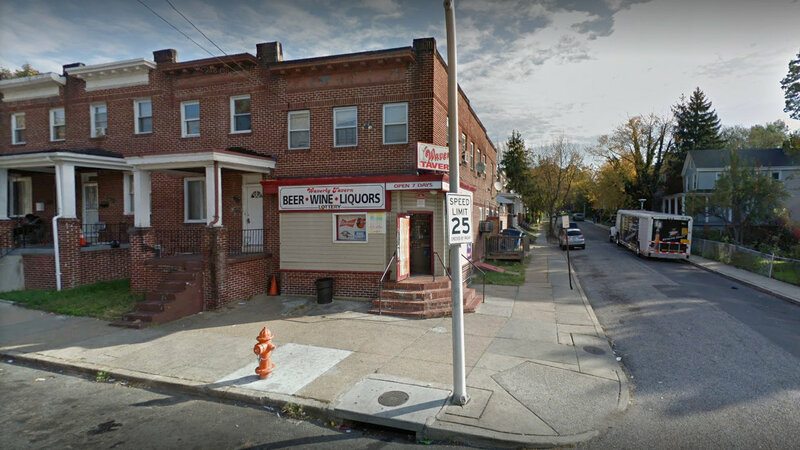 Days before Mayor Catherine Pugh assailed some West Baltimore corner carryouts as crime magnets that should be shuttered, the liquor board considered a request from residents that it revoke the license of a corner liquor store and carryout, Waverly Tavern, at 3801 Old York Road. Three Baltimore Police officers testified that they have constantly responded to 911 calls from the bar and make arrests there. Known drug dealers regularly stand outside the building mingling with other patrons, openly drinking liquor and conducting drug transactions, the officers said. “He told me he did not have a bomb. . . he appeared to be paranoid,” Officer Eric Dodson said. “There is so much violence and so much fear of retribution that you refuse to deal with that we are living in terror,” said Dr. Elizabeth Simons Kasameyer. The three commissioners clearly found the testimony disturbing. All agreed it was credible. “I believe her testimony that the community is terrified,” Liquor Board chairman Albert J. Matricciani, Jr. said. But the board ultimately voted unanimously to renew the establishment’s license. Despite all the testimony and documentation, there was no record at the Liquor Board itself of any violation of state liquor laws. None of the 911 calls or police reports had ever been forwarded to the board. “I feel like I’m living in Oz or something because I have in front of me licensees who’ve had the license since 2014 without a single complaint being made,” Matricciani said. “And then I hear that they operate an establishment that is a significant cause of the worst violence in Baltimore City, and that there are officers there almost the entire daytime and evening constantly shooing away violent criminals and drug dealers,” he continued. “That’s a question I have been asking for a really long time,” Witt said, going on to offer her explanation for the lack of followup. “I think that there has been a historic disconnect between the agencies that I think both agencies are partially to blame for,” she answered. Acknowledging that the Waverly Tavern is not “a model business,” attorney Stephan W. Fogleman said his clients, the licensees, were not properly informed of “the magnitude” of problems at their establishment. He pressed Gibson and his officers, saying they should have policed the establishment more closely. “Why don’t you arrest these loiterers. You know where they are! It’s like shooting fish in a barrel,” said Fogleman, who is a former liquor board chairman. That’s the kind of approach discouraged by the 2016 U.S. Department of Justice report and subsequent consent decree with the city, Gibson fired back. Why hadn’t she entered the tavern to discuss problems with the owners? Kasameyer said she was terrified of the place. Asked by Fogleman why she didn’t go into the business and advise the staff to better control its customers, Sgt. Amy Streett pushed back as well. “They see me come through, sir, and they see me ask the people to leave, so they know that there’s a problem out there, sir,” Streett said. Pressed on why she had never entered the tavern to discuss problems with the owners, Kasameyer said she was deeply afraid of the place. “I have watched this bar go from a place where you would want to live across the street and you wouldn’t mind stopping there, to a place where I am terrified to even stop at the stop sign,” said Kasameyer, who has lived in the neighborhood since 2009. 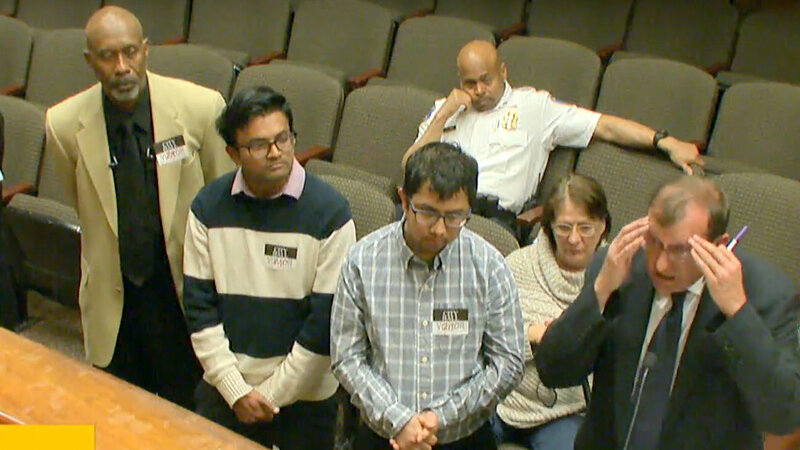 Fogleman said no one from the community, including the Waverly Improvement Association, had informed the licensees (Bibek Gautam, Shekar Karki and Rupendra Luitel) of any problems before March 28. “These problem were a trickle on March 28 and they dealt with them – they’re finding out they’re an avalanche today,” Fogleman said. The corporate entity associated with their license, a BD7 Beer, Wine and Liquor License, is BS&R LLC, according to records on file with the Liquor Board. The license was transferred to the three on December 2, 2014. Councilwoman Mary Pat Clarke, contradicted Fogleman’s account. Witt addressed why, other than complaints about trash and illegal dumping, there were no 311 complaints about the tavern. 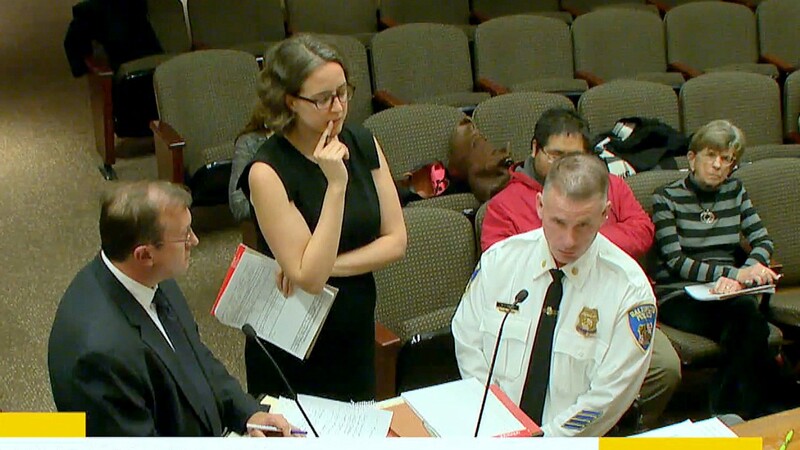 Citizens call 911 instead, she said, because they think it’s more appropriate to a violent or criminal situation and because they have become discouraged by the city’s lack of responsiveness to non-emergency 311 complaints. 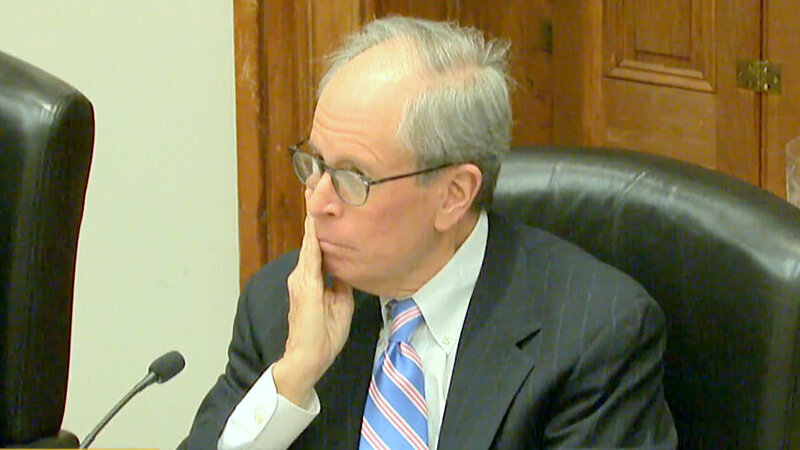 When it came time for a vote, Greenfield at first suggested a postponement to let the two sides work out an agreement and “to find out where the disconnect is,” but the board dropped that idea after Fogleman objected to it. Matricciani, Greenfield and Commissioner Elizabeth E. Hafey said their hands were tied by the law. Witt disagreed, saying a renewal revocation does not require the board itself to have found a violation. “Under Rule 3.12, licensees have the responsibility to run their establishment in such a way that does not disturb the peace, safety and welfare of the community,” she said. The commissioners encouraged the neighborhood association to sign a Memorandum of Understanding with the licensees. Fogleman said the owners would agree to many provisions, including better lighting, but they couldn’t commit to hiring a security guard because of concerns about the cost. Comings and goings on the Liquor Board: Dana Moore out and Elizabeth Hafey (hoping to get) in.